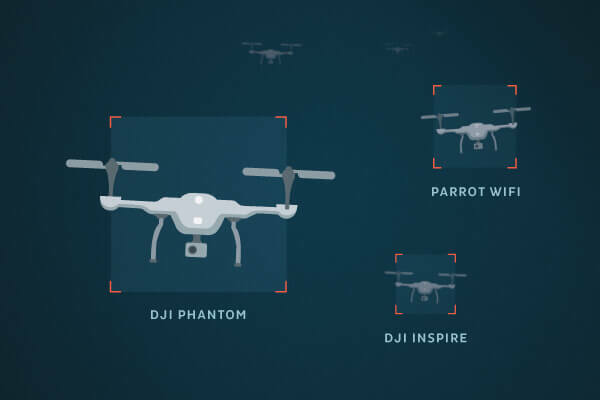 Dedrone is excited to release DroneTracker 3.5, the drone detection industry’s response to understanding airspace activity and ensuring that protected sites are aware of all drone activity overhead, whether it be a single or orchestrated drone incursion. Check out what DroneTracker 3.5 looks like when there are multiple drones coming in at once. DroneTracker 3.5 uses RF Sensors and video cameras to provide simultaneous detection, including a redesigned alert screen for handling multiple alerts. Supported PTZ cameras include models from Axis and Bosch. ‍DroneTracker 3.5 now integrates a point of interest (POI) marker with a tactical overlay on the user’s map, including real-time calculation of distance and movement of multiple targets. This POI marker helps users calculate the distance between an approaching drone and a specific point in the protected area, or a person’s location. 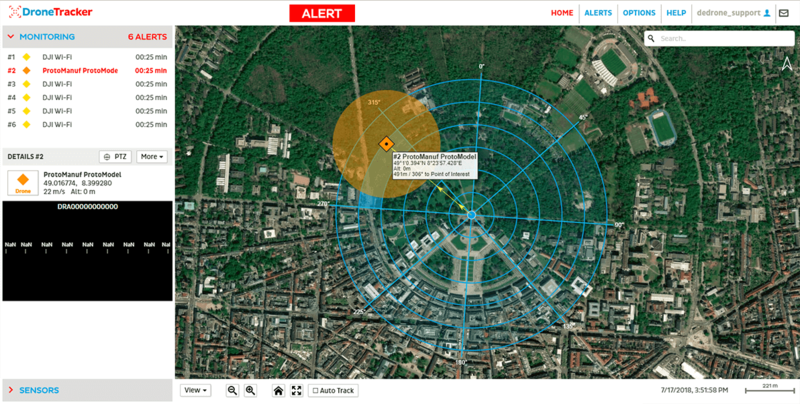 DroneTracker 3.5 now supports street, satellite and hybrid maps, allowing for users to view drone alerts and movement on the map of their choice. DroneTracker 3.5 now supports street, satellite and hybrid maps, and includes POI markers.